Natural gas continues to be the fuel of choice for power generation and feedstock for a range of petrochemical industries. This trend is driven by environmental, economic and supply considerations with a balance clearly tilting in favor of natural gas as both fuel and feedstock. Despite the recent global economic uncertainty, the oil and gas industry is expected to continue its growth globally, especially in emerging economies. The expansion in LNG capacity beyond 2011 and 2012 coupled with recently launched and on-stream GTL plants poses real technological and environmental challenges. These important developments coupled with a global concern on green house gas emissions provide a fresh impetus to engage in new and more focused research activities aimed at mitigating or resolving the challenges facing the industry. 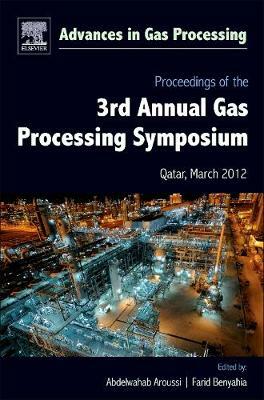 Academic researchers and plant engineers in the gas processing industry will benefit from the state of the art papers published in this collection that cover natural gas utilization, sustainability and excellence in gas processing.